Members of the St. Catherine's ACW have been knitting jumpers for "fish and chips" babies. The families of these babies (often single mothers or mothers suffering from AIDS) are so poor that they cannot afford clothes for their children. Because nothing else is available the newborns leave hospitals wrapped in newspaper like a order of fish and chips. 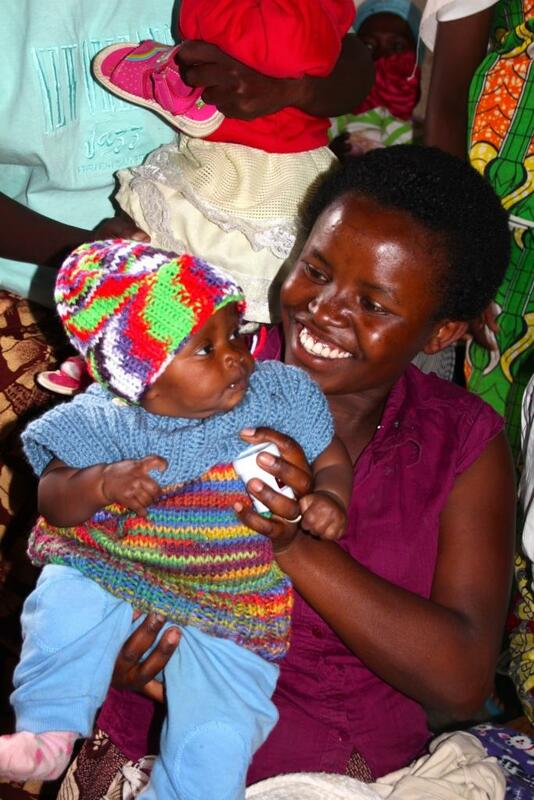 Jumpers donated by the ACW are distributed to these families by the organization Embrace Rwanda. On October 23, 2015, Hilary King of Embrace Rwanda spoke to the ACW about her organization's work. Embrace Rwanda's Healthy Mums Program goes beyond providing clothing. The organization runs programs to teach skills that enable women (and men) to support their families. One of the programs involves women forming cooperatives in which they share the produce that they raise in home gardens - and sell the excess. St. Catherine's is looking into expanding its support by forming a partnership with an Anglican congregation in Rwanda. Meanwhile, parishioners are encouraged to donate their spare change (or larger amounts). A basket made by Rwandan women will be available in the narthex or other locations in the church to collect the donations.